As it hath bin sundrie times plaied about the Citie of London. 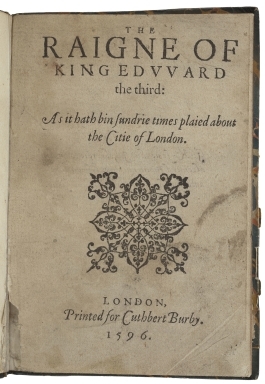 LONDON, Printed for Cuthbert Burby. 1596. Title page imaged from Folger call number: STC 7501. Image is not from the transcribed copy. Wiggins suggests a best-guess creation date of 1593; range 1590–94.